Alun Wyn Jones says he was left feeling his age by Wales ending their lengthy wait for a win over Australia, but insists beating the Wallabies has no bearing on next year's Rugby World Cup showdown. 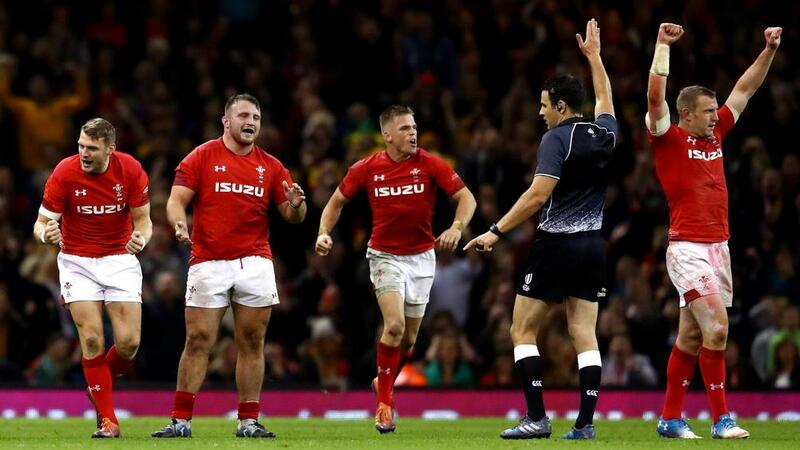 For the first time since November 2008, Wales were able to celebrate a win over Australia after a scrappy 9-6 triumph at the Principality Stadium in Saturday's November international. Captain Wyn Jones was the sole survivor of the current side from their last triumph, leaving the second-rower to contemplate the scale of their achievement. "I think it's been a long time! I think somebody reminded me I was the sole survivor from 2008 so that shows how old I am, I suppose," he told BBC Sport. "But I'm really pleased for the squad. We've lost by many a fine margin and, I'll be honest, we won by a fine margin as well. "I'm proud of the boys. We've been gracious in defeat for a long, long time and we're going to be gracious in success." "It's a long time away, the World Cup, and there's a lot of games to go under the bridge as it were," he added. "I've got a huge amount of admiration and respect for the Australia side and obviously I look back at the win rate they've had against us." Leigh Halfpenny kicked six of Wales points but had been taken off by the time Dan Biggar nailed the late winning penalty. And Wyn Jones hailed Biggar's nerve, saying: "He's a competitive animal. "I think he probably wouldn't have wanted it any other way, to come down to the wire and fair play, he came on and essentially did his job as a 20 today." Australia have now won just three of 11 Tests in 2018, but Wallabies skipper Michael Hooper is confident the team can turn the corner. "Yeah, obviously that [losing the winning streak] hurts," he said. "Our preparations were really solid this week and I felt that our defence was great. "I felt like we were able to repel a lot of what the Welsh threw at us. But credit to them, they stuck at it really strong. You can see how happy they are to get on top of us. "It was a real grudge match, a real Test match. There was grinding, back and forth. Congratulations to Wales on the win but it really hurts. "We'll regroup again, we've got two more games on this trip and a hell of a lot to play for each week. "This really hurts, but I'll back everyone, back the coaching staff, back the players that we're going to turn this into winning results."